Kazan is the capital city of the Republic of Tatarstan within Russia. Kazan is famous for Muslims and Christians living side by side in peace. Within the walled Kremlin at Kazan there are both Orthodox Christian Cathedrals and Mosques. Before entering the chaos of Moscow we stopped in the town of Suzdal which our guidebook described as being completely bypassed by the 20th century! 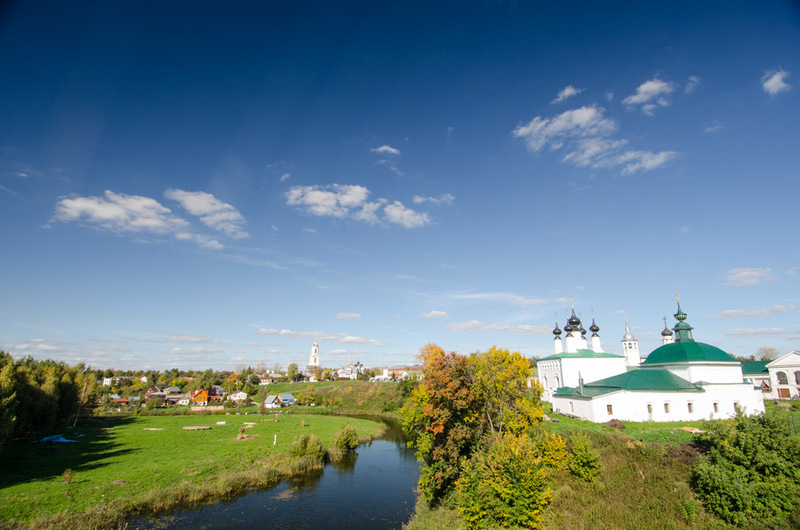 Suzdal is a snapshot of rural Russia from days of old. Cathedral and Mosque side by side within the Kremlin walls at Kazan. Driving West into the setting sun. Sleepy town of Suzdal outside Moscow. A lovely meal out in Suzdal.